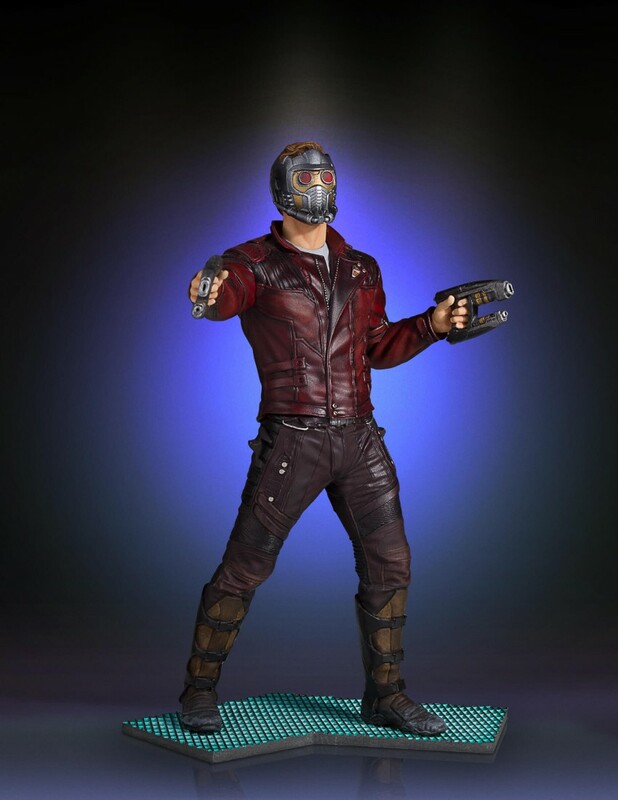 Star-Lord is back and he’s leading the Guardians of the Galaxy into new adventures! 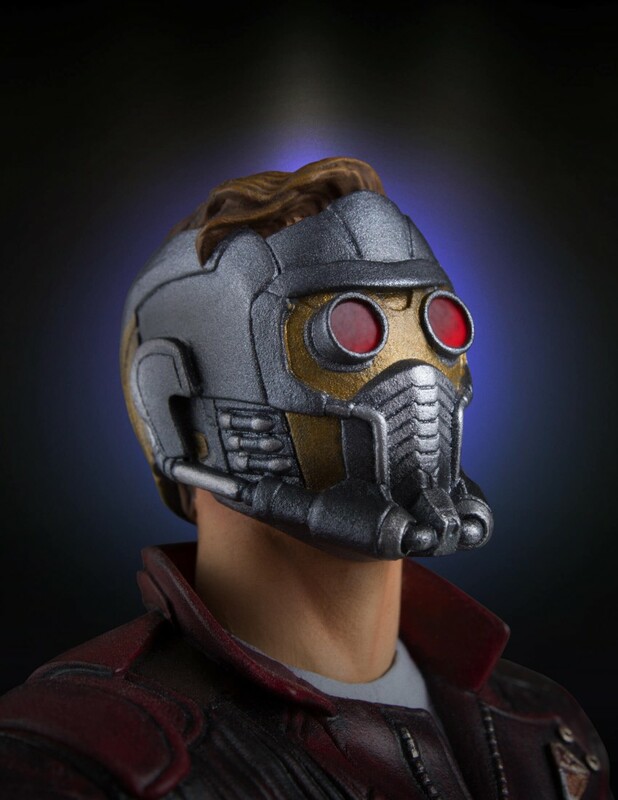 Born on Earth to an Earthling mother and alien father, Peter Quill aka Star-Lord quickly found his way to the stars, surviving among the space pirates known as Ravagers. 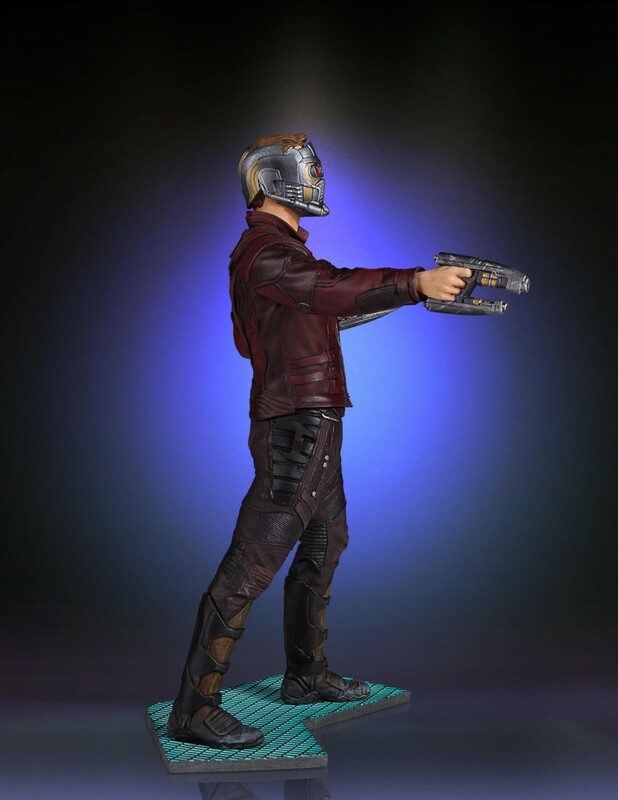 Peter’s adventures have taken him from one end of the galaxy to the next along with his rag-tag team of misfits. 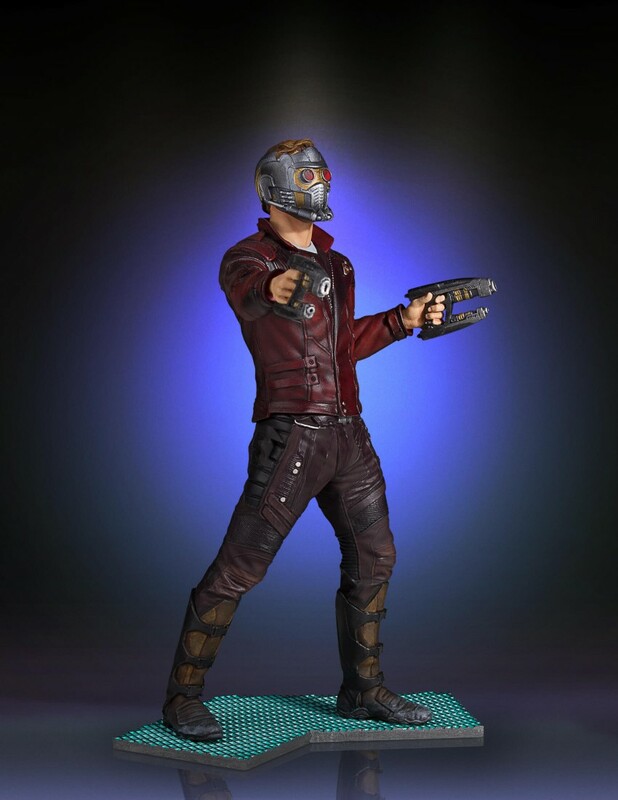 Straight from his silver-screen appearance in Guardians of the Galaxy Vol.2, the Star-Lord Collector’s Gallery Statue has been digitally sculpted down the most minute detail, and hand-painted by the amazing artisans of Gentle Giant Studios. 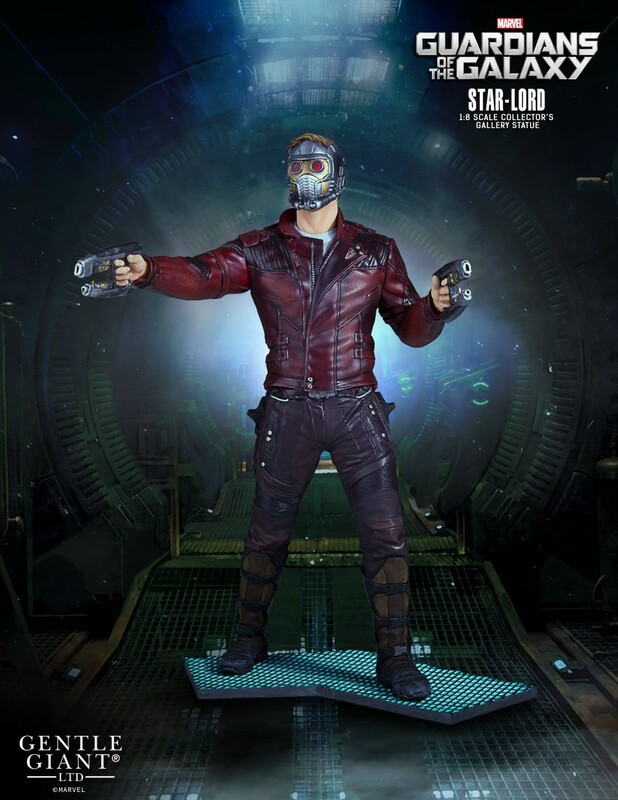 Star-Lord is rocking his signature helmet, has his blaster in hand and is full of the attitude that has made him one of the notorious rogues in the galaxy… or at least in his own mind. 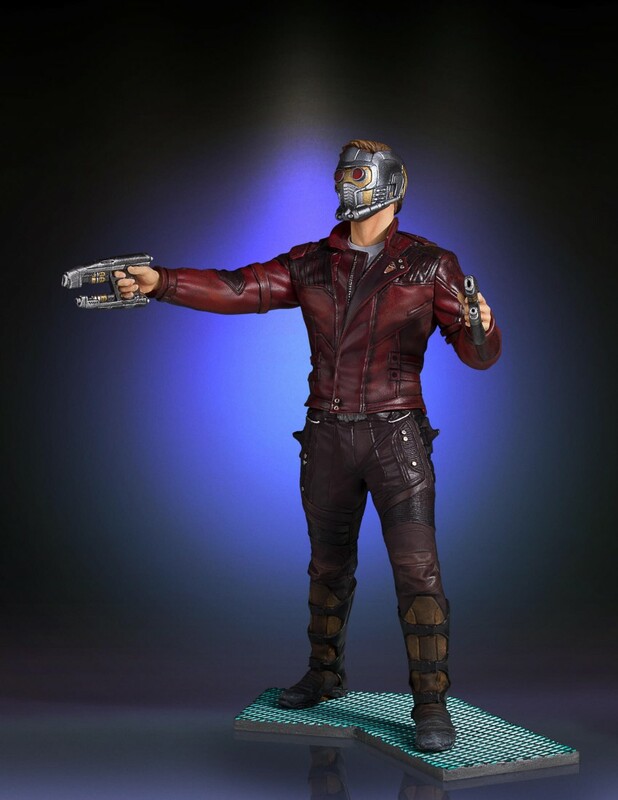 This 1:8 scale statue of Star-Lord is the 4th in our Marvel Collector’s Gallery statue line. 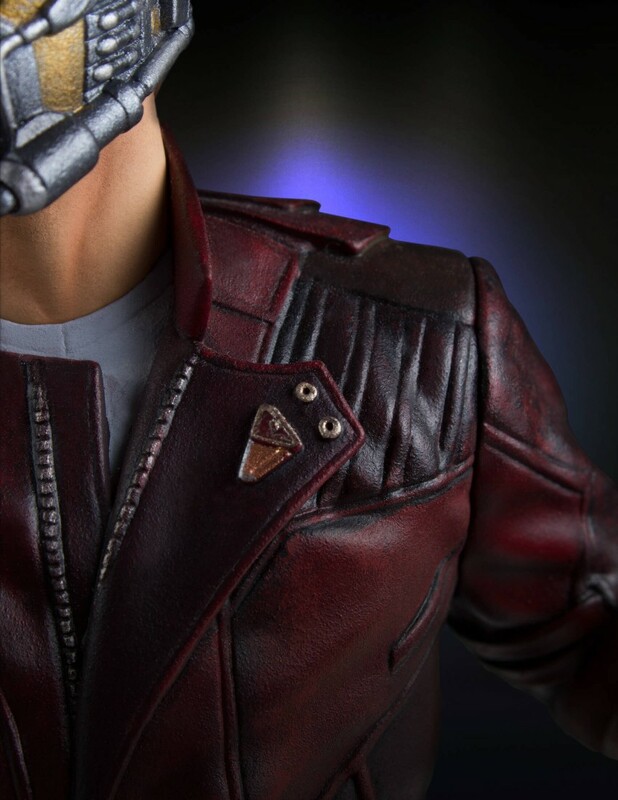 Comes numbered with certificate of authenticity. 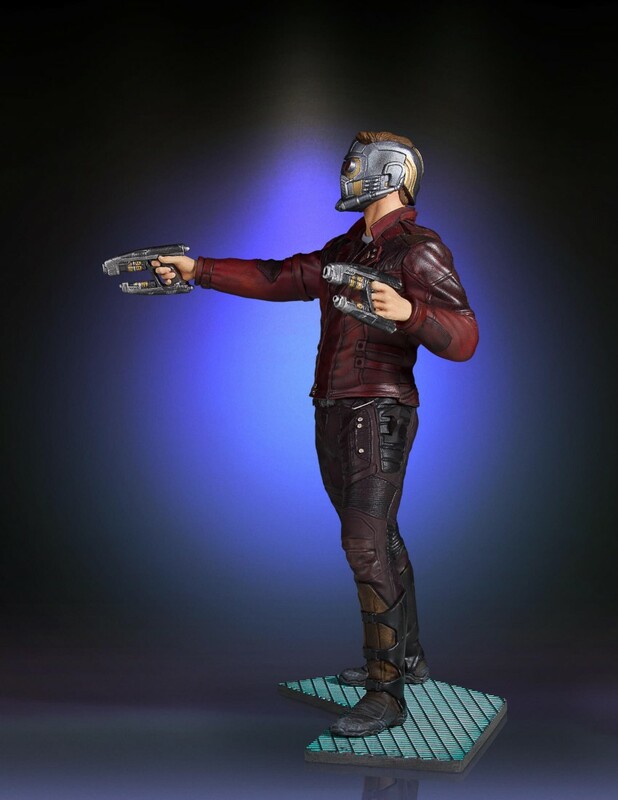 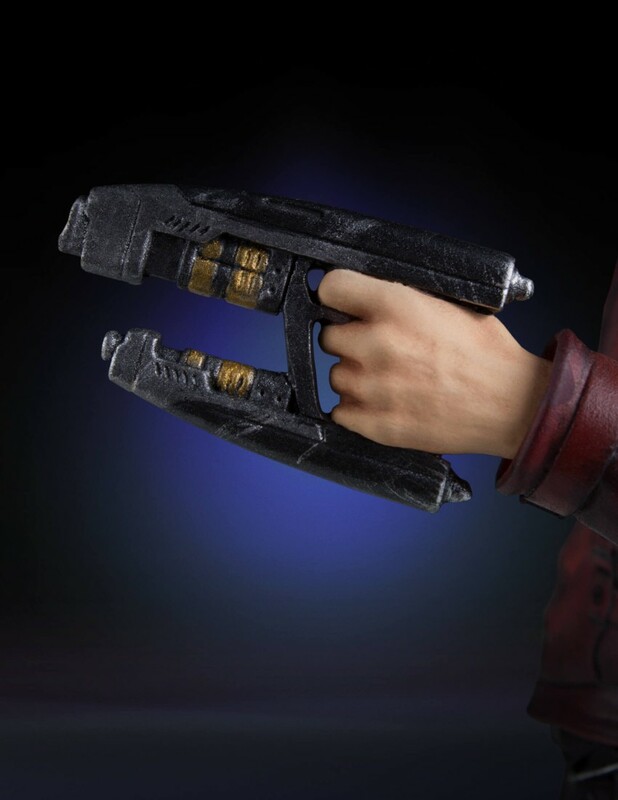 You can pre-order the Star-Lord Collector’s Gallery Statue by Clicking Here. 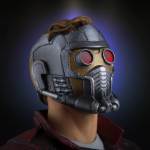 Read on for a few images. 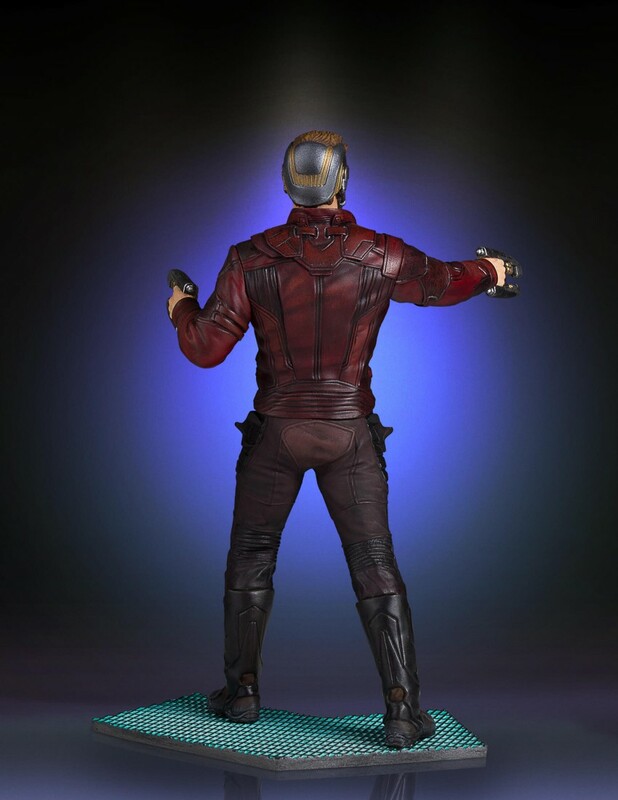 It actually is a very nice statue, but I personally prefer mine to be taller than my Hot Toys collection.